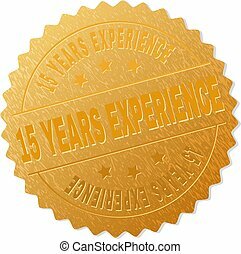 15 years experience golden label with ribbon. 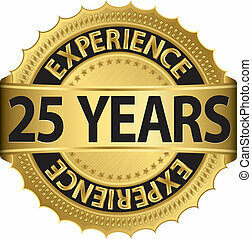 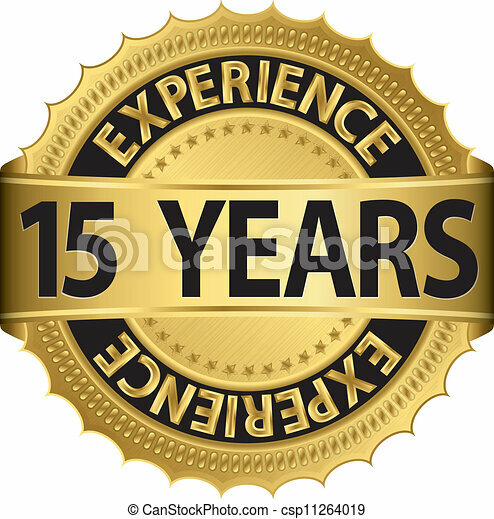 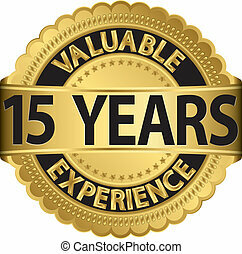 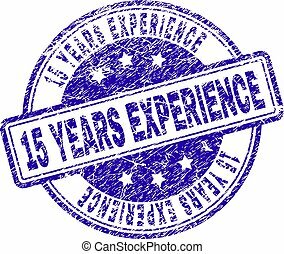 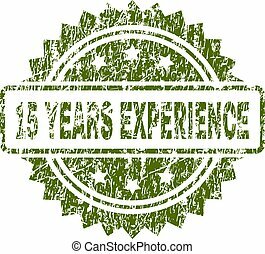 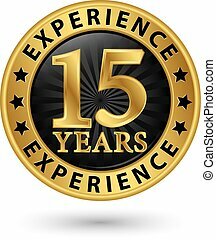 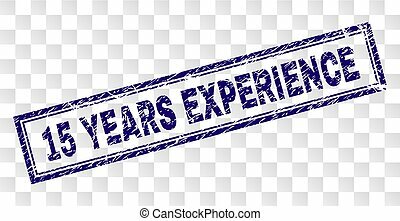 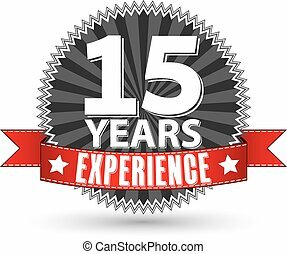 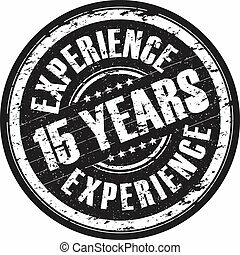 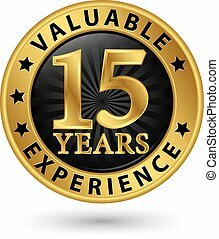 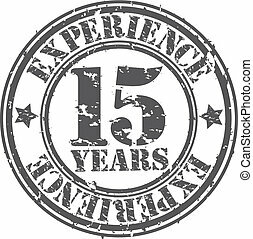 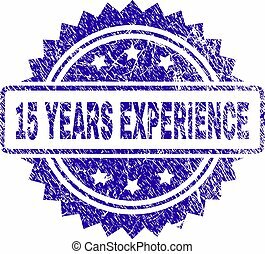 15 YEARS EXPERIENCE text on a ribbon. 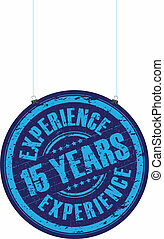 Designed with white title and blue stripe. 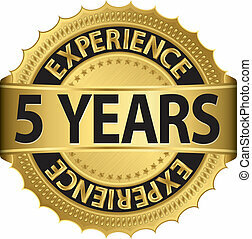 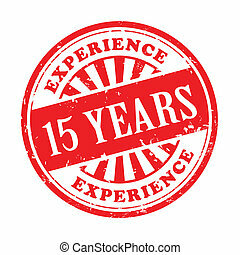 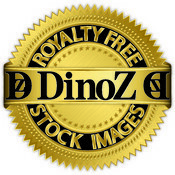 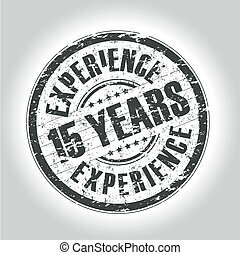 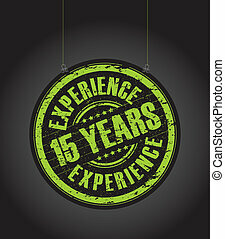 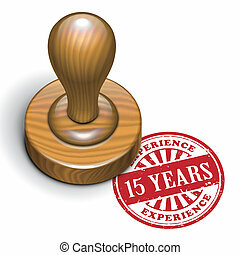 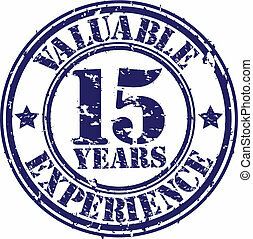 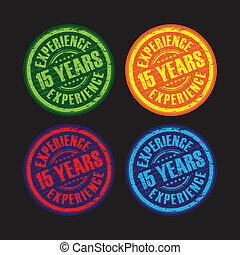 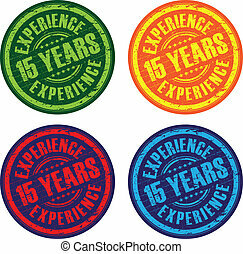 Vector banner with 15 YEARS EXPERIENCE tag.